While many of Facebook's tools are well received as they enhance the experience, one which is often complained about is the Marketplace. The Craigslist-like feature which offers a way to facilitate transactions between users can be a little overbearing with its alerts. However, you can change that. Depending on your smartphone's operating system, there are one or two ways in which you can manage these notifications. Both methods allow you either scale them down or stop them altogether, depending on useful the Marketplace is to you. For most users, start by tapping the hamburger icon (three lines) in the bottom-right corner (iPhone) or top-right corner (Android). From there, expand the "Settings & Privacy," menu, then select "Settings" and choose "Notifications Settings" on the next page. 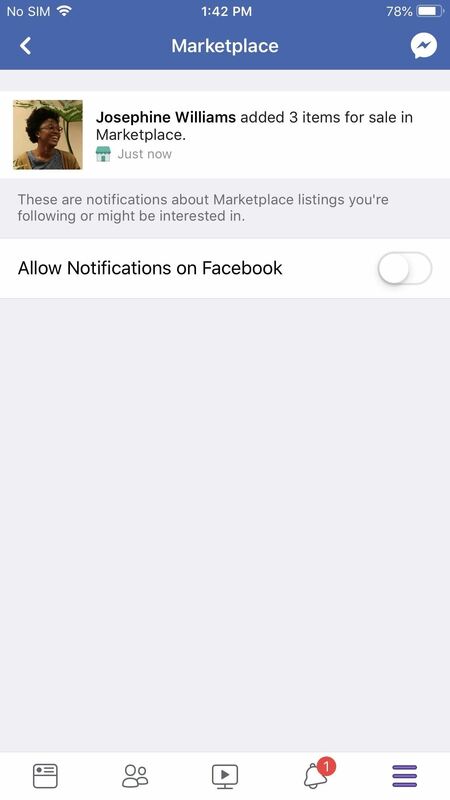 Now, select "Marketplace" to view the notifications settings for Marketplace. You can prevent notifications for being received by a certain device (such as text messages or push notifications on your phone), or you can disable all notifications by disabling "Allow Notifications on Facebook." Either way, disable one or all the toggles, and you should no longer receive any more notifications. On Android devices running Android 8.0 Oreo or newer, you can take advantage of Notification Channels. With this feature, you can manage different categories of notifications for specific apps by changing how they appear on your device and whether they appear at all. To access the Notification Channels for Facebook, open Settings and select "Apps" or "Apps & Notifications." 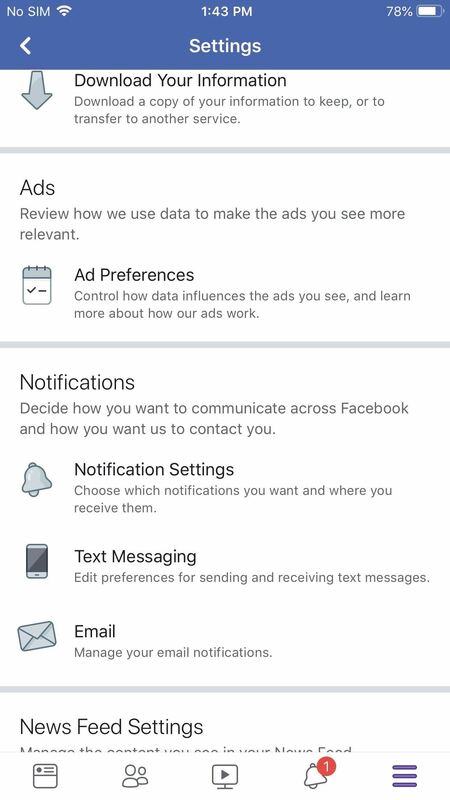 Choose Facebook from the list of apps, then select "Notifications." From here, you will see a list of the different categories of alerts created by the Facebook app. When you locate Marketplace in this list, you have two options. You can select the text to customize how the announcement appears, with options such as stopping it from popping up on the screen or just turning off the alert sound. The second option is to select the toggle next to Marketplace to disable notifications altogether.